Flexineb® is an easy-to-use veterinary medical device that silently produces a very fine mist of aerosolized drug for the treatment of respiratory issues in horses. Flexineb® is ideal for veterinarians, trainers and owners that are seeking a better approach for treating respiratory illnesses with a highly effective, silent and portable nebulizer. Respiratory problems, including Recurrent Airway Obstruction (RAO), or heaves, Inflammatory AirWay Disease (IAD) and Exercise Induced Pulmonary Hemorrhage (EIPH), are frequent issues in performance horses. Typically, their treatment includes systemic administration of drugs using injections or the oral route; however, administration via aerosol devices is now considered to be a viable alternative for treating respiratory issues. Flexineb® is an easy-to-use veterinary medical device that produces a very fine mist of aerosolized drug, enabling this method of treatment for the horse. Flexineb® is completely portable and silent and offers the most effective transfer of aerosolized drugs thanks to a unique, comfortable design and highly specialized components. 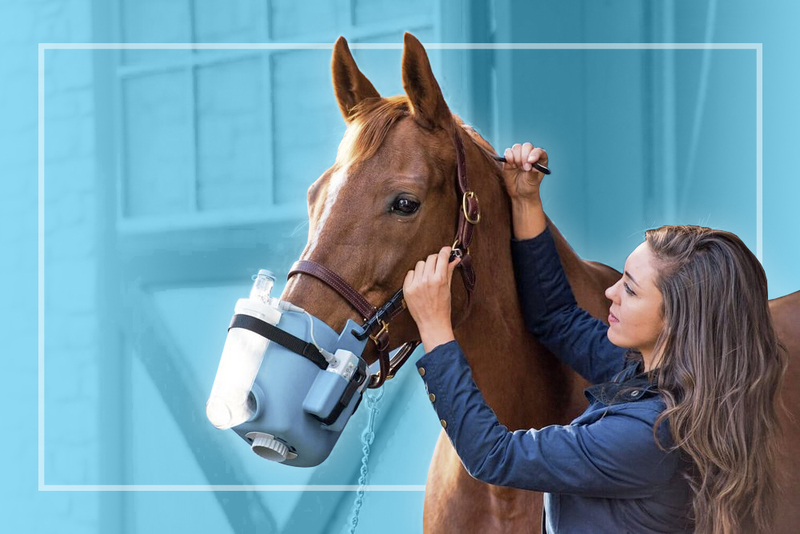 Unlike most devices used for the treatment of respiratory issues in horses, Flexineb® has been designed for the veterinarian, trainer and owner seeking a highly effective, silent and portable nebulizer. Flexineb® delivers unrivaled portability, fast set-up and simple operation without cumbersome hoses, cords or valves. Moreover, the Flexineb® delivers more aerosolized medication than the competition thanks to state-of-the-art components, superior design and attention to detail. Flexineb® is trusted by equine professionals around the world for fast, safe and highly effective transfer of medication for respiratory conditions in horses.